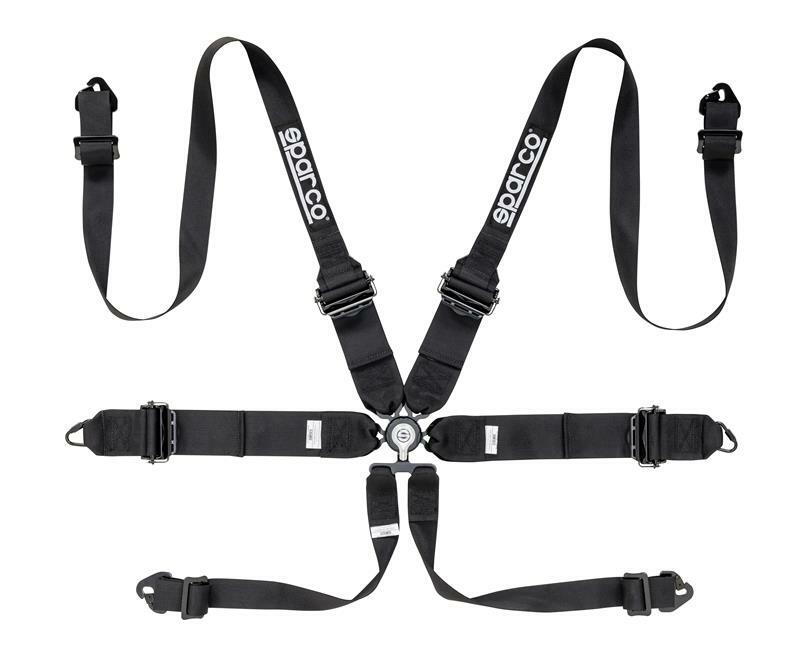 Sparco’s full line of harnesses works in unity with our competition seats. Crafted from high-quality fabric and fitted with durable fasteners, each harness restrains the body for added safety and protection. Our 6-point Hans-compatible harness features 3-inch lap straps and shoulder straps that taper from 3 inches to 2 inches. This tapered design allows for the integration of a Hans device. Each strap attaches in the center using an aircraft-quality quick-release buckle with integrated anti-submarine belts. The lightweight aluminum or steel adjusters allow for smooth, quick adjustments and perfect clamping. Each belt attaches to the frame using snap-on fixings. Available three colors: black, blue and red. This harness is FIA approved.